The pace of the surging property market will ease off as prices have now hit the very outer limits that families can pay, experts predict. Buyers are now being restricted in what they can bid due to Central Bank lending limits – while prices have risen so much they are now increasingly beyond reach. The latest official figures show property prices were up 12pc in the past year. But most industry experts now expect prices to rise by 5pc over the next few months, according to a survey carried out by the Central Bank and the Society of Chartered Surveyors of Ireland. The survey involved estate agents, economists, academics and surveyors. Central Bank lending limits are being cited as the reason why price increases are slowing down, with some evidence of greater supply of properties for sale. The fall in price growth expectations is particularly marked in Dublin, where the one-year expectation fell to just 2pc. Just over half of the experts expect to see price growth in the capital, down from an overwhelming 98pc at the end of last year. According to the report: “The availability of bank credit was deemed to be the primary factor behind the anticipated price changes both nationally and in Dublin.” Other issues, including level of interest rates and the perception of value, were also cited. This is a reversal of the findings of previous surveys, where a lack of supply was cited as the main influencer of house price developments. One of those who contributed to the survey, economist Dermot O’Leary of Goodbody Stockbrokers, said the market is being affected by the Central Bank’s mortgage rules. He said some banks are refusing to accept mortgage applications from borrowers looking for exemptions from the Central Bank mortgage rules on loan-to-value and loan-to-income. “This is consistent with the slowdown in the growth of mortgage approvals over the past few months,” Mr O’Leary said. The median, or middle, value of a property nationwide has risen by €27,000 in the year to June compared with the same month last year. The median price paid by households for a home this year is €237,000. 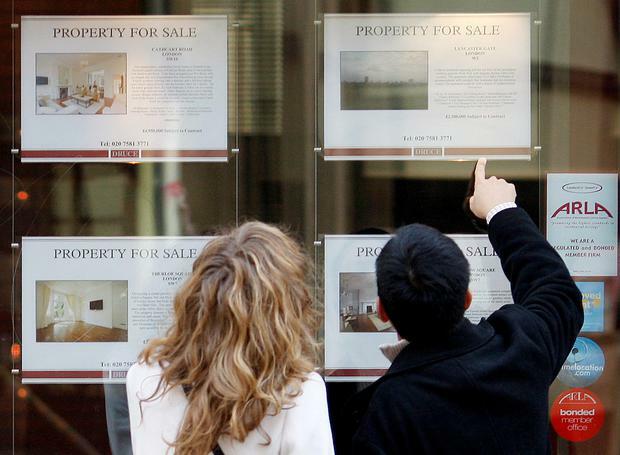 A 5pc price rise would add close to €12,000 to the price of a property nationwide. That would take median prices to almost €249,000 nationally. If Dublin prices rise by 2pc it would mean the median price going from €360,000 to €367,000 by the end of the year. Meanwhile, new figures show that 4,419 new homes were completed in the April to June period, according to the Central Statistics Office. This represents annual growth of 34pc. This takes the year-to-date total to 7,945. The Greater Dublin Area continues to represent the lion’s share of new housing output. Taoiseach Leo Varadkar said: “I’m pleased to see that in the last three months 4,400 new homes have been completed in Ireland. That’s a 34pc increase on the same period last year. “I think it puts us in a good position to meet our target of building 20,000 new homes in Ireland this year. “We have a housing crisis in Ireland. The ambition is to build new homes and more homes.